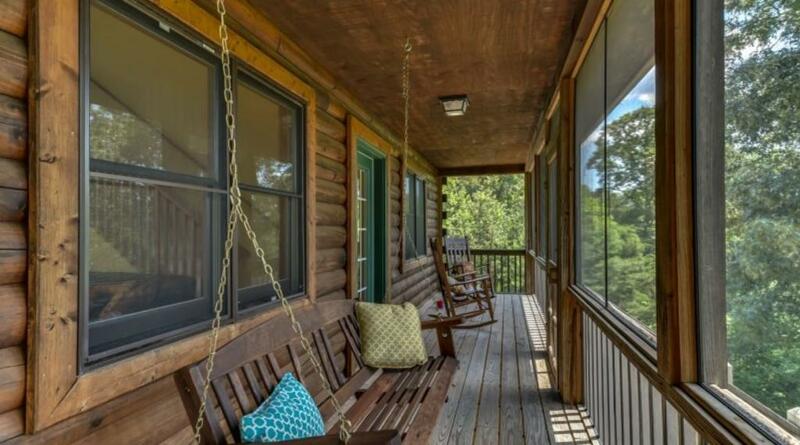 The Riders' Retreat is an adorable log cabin retreat nestled on 4+ acres in the foothills of the Blue Ridge Mountains and located in "River Ridge" a gated community of with homes on large wooded lots offering plenty of privacy. Overlooking the Broad River, The Riders' Retreat is less than 10 minutes from Tryon International Equestrian Center and a day trip away from Lake Lure, South Mountain State Park, DuPont State Forest, Pisgah Nat'l Forest, and many other area attractions including wineries, hiking and antiquing. 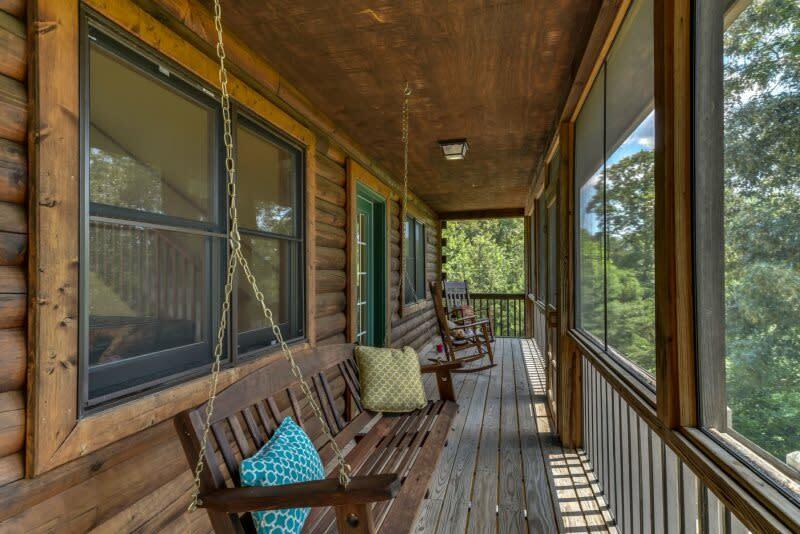 The spacious deck and fabulous screen porch extend the living spaces, while a large flat area by the river that is perfect for the kids and dogs to run around. The home sleeps 4 privately in two bedrooms plus 4 in the large sleeping loft and on the queen sofa bed in the living room. A queen air mattress that's provided can increase the occupancy to 10. River Ridge offers a commons area on the river with a grills, picnic tables and a playground, plus an access point to the river for kayaking and tubing. We hope you enjoy your stay at Rider's Retreat, a cabin chock-full of everything you need to ensure you'll return again and again! Note: pets allowed with prior approval and a pet deposit.